The unique experience of enjoying something that is completely created exclusively for your own personal requirement is something not to be missed. Choose your fabric, colour of lining, number of buttons on front and cuff. 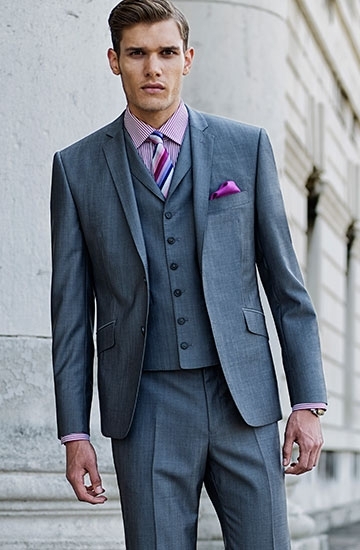 The width of lapels, number of pockets and side vents or centre vents are all in the mix. Your precise measurements will be taken to create a pattern unique to your body shape, stored on a computer it will be available for any future use. 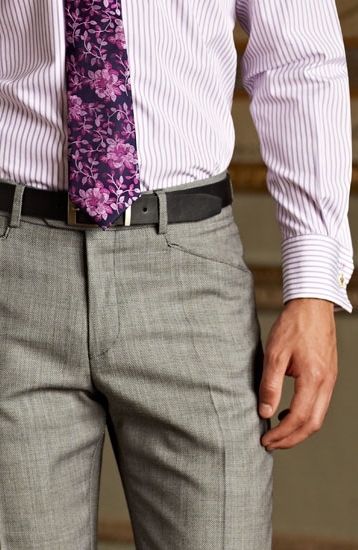 If you so desire, an extra fitting may be performed by your tailor to ensure your satisfaction. Bespoke goes beyond the realms of faceless “off the peg” design. You will be visited by a JEFF BANKS Bespoke Tailor anywhere in the country within seven days. My tailors are knowledgable about the three fundamental shapes I have created for Bespoke and will endeavour to find your perfect match. In the world of bespoke a coat is what is commonly known as a jacket. 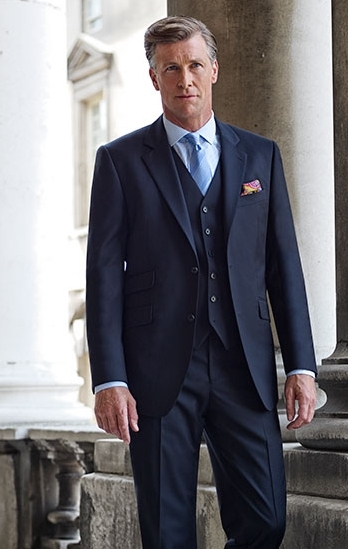 This is due to the heritage of modern tailoring deriving from military tailoring. The first consideration is wether or not it should be a single breasted coat or double breasted. Next is the right length. 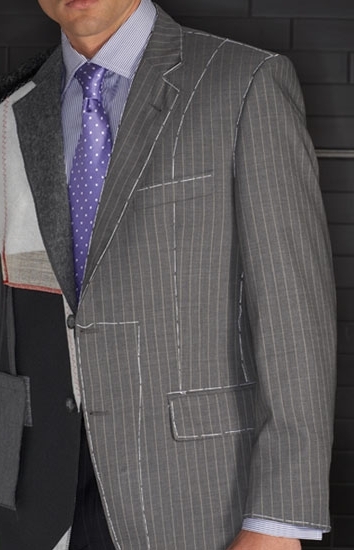 Lapel width, pocket arrangement, functioning button cuffs are a must in a JEFF BANKS Bespoke Suit. The waistcoat has a long history reaching back to the 18th Century. Men wore a sleeveless coat that reached just below the waist with a long frock coat over the top. While the suit coat has become shorter through time the waistcoat has remained the same, its initial design standing the test of time. Vital to get the right fit and flattering silhouette of a well cut pair of trousers. Here the visiting tailor will take endless measurements to ensure the trousers fit in the right position and hang properly. Flat fronts or pleated fronts are an option. Hem width and the right fit over the thighs and seat make for a pleasing silhouette. A wide variation of pocket details and the option of turn ups all ad to getting a unique blend of style comfort and fit.